Behind Straight Curtains presents a series of critical scenes that celebrate the queerness and theatricality of architect Eileen Gray’s building E.1027, the literary salon of author and seductress Natalie Barney at 20 rue Jacob, and author Selma Lagerlöf’s home Mårbacka. 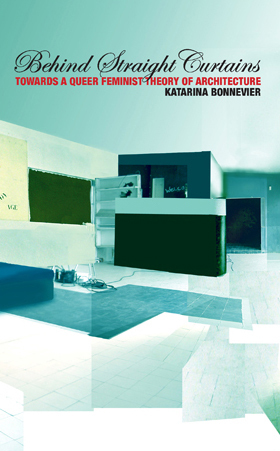 Lifting the curtains of heteronormative and sexist assumptions, the book explores examples of architecture that challenge social norms. Speculatively, yet with passion and engagement, the work posits an architecture arising from the dream of transformation.